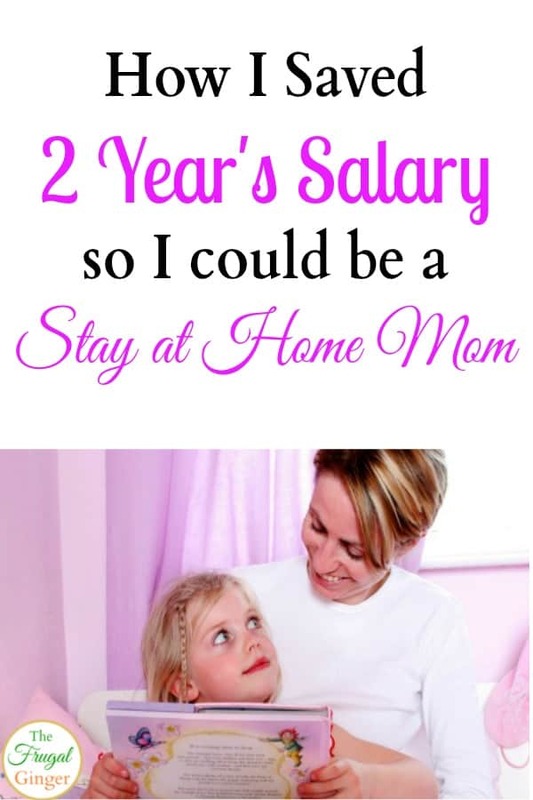 How to Financially Prepare to be a Stay at Home Mom: How I was able to Save 2 Year's Salary! You are here: Home / Money Saving Tips / Being a Smart Consumer / How to Financially Prepare to be a Stay at Home Mom: How I was able to Save 2 Year’s Salary! 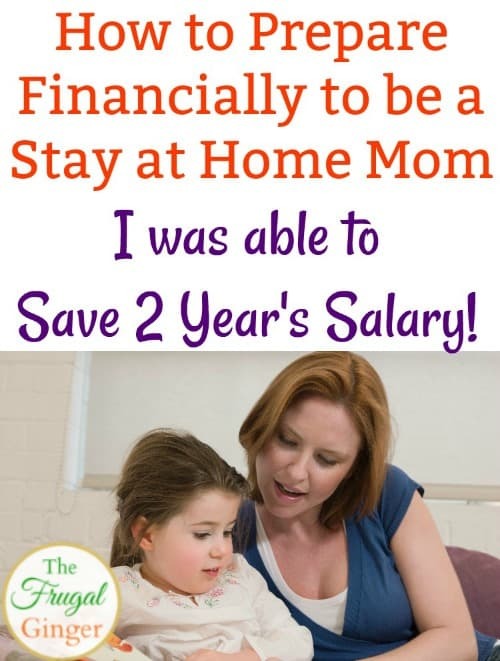 How to Financially Prepare to be a Stay at Home Mom: How I was able to Save 2 Year’s Salary! I didn’t always know that I wanted to be a stay at home mom. I didn’t know until I was probably around 26 years old that if I ever had kids, I wanted to be able to spend as much time with them as I could, especially when they were little. I knew I had to figure out how to financially prepare to be a stay at home mom. I also knew that I didn’t want to be living paycheck to paycheck and that I wanted to be able to still contribute to my family’s income. I didn’t want to solely depend on my husband to foot the bills even though I would be saving us a fortune on child care by staying at home. 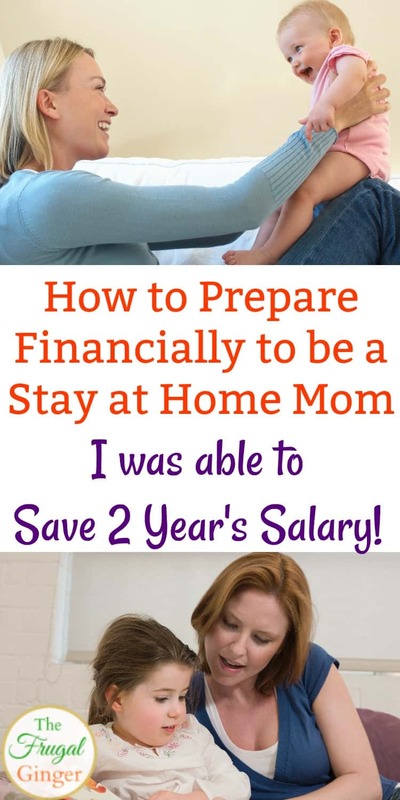 In order to be able to afford to be a stay at home mom and still be financially independent, I started saving as much as I could so that when the time came for me to have kids, I would be ready. I started saving as much as I could when I was around 26 or 27. I had my daughter when I was almost 30 years old and I was able to save up 2 year’s of my salary by that time. I was able to save that much by living within my means and preparing to be a frugal stay at home mom. I didn’t deprive myself of anything, I just focused on unnecessary things I could cut back on. I have always been responsible with money so this wasn’t very hard for me to do. I just kept living like I did in college, on a tight budget. You may be wondering, “Can I afford to be a stay at home mom?”, and I am here to tell you that it is possible with a bit of preparation. I got into couponing after college when I was trying to get my own place and pay off my student loans. I came across the site, Hip2Save, and fell in love with how easy she made couponing seem. I started doing meal planning so that I would eat out less and matched sales with my coupons to really save. On average, I would save 60% or more on my grocery bill and that really adds up. I got a weekly paper and used sites like Coupons.com to get savings for pretty much everything I needed. I didn’t extreme coupon, but I did stock up on things that I used all the time when I could get it at it’s lowest price. It’s just one of the ways I’m able to lower my grocery bill by 75% week after week. I only bought items that were on sale or clearance. I did this for groceries, clothes, makeup, shoes, home decor, pretty much everything. I shopped second hand places like ThredUp and Schoola for my clothes. I never payed full price for anything! It is really not that hard to do, it just requires patience. Once I started using coupons, I was able to see what the stock up price would be for certain items, I would stock up so I would have enough to get me through the next sales cycle. The same thing is true with clothes, I would stock up at the end of every season when things were on clearance and I would be set for the next year. I gave up as many luxury items as I could without feeling deprived. I still had a Starbucks frapuccino but I cut it back from once a week to once a month. 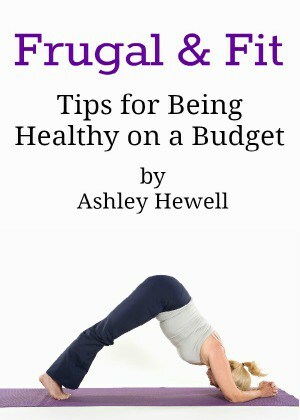 I needed to get used to being a frugal stay at home mom so that I could make my savings last. Instead of spending money on magazines, I learned how to get free magazine subscriptions. I also did things like getting free movie tickets, birthday freebies, and more. I was even able to get credit to stores or products that I would buy everyday just by referring my friends. They would save on their purchase, and I got a credit. It was a win-win for both of us! If I ever wanted to treat myself to a spa or manicure, I would always check sites like Groupon first. I’d save at least 50% on these kinds of services and still get to feel pampered. I was able to still live the lifestyle I wanted while being able to save as much as I could. You can still treat yourself to luxuries, you just have to put in a little work and be creative. Ipsos ISay, Inbox Dollars, MindsPay, Pinecone Research, and Vindale Research. I would normally make anywhere from $30-$50 per site every month. They don’t take a lot of time. I would spend about 30 minutes to an hour each night taking them. I would do them while I watched TV. I also joined Swagbucks where I got paid for doing searches, watching videos, taking surveys, etc. I earned about $30/month with this. During this time, I also got really into entering giveaways. I was able to save so much money by winning products, gift cards, and even cash by doing this. I would mainly enter blog giveaways because they don’t have as many people entering them as big sweepstakes do so your chances of winning are a lot higher. I would find different ones to enter on sites like Giveaway Promote, Online Sweepstakes, and Sweeties Sweeps. If there was a particular item I wanted, I would do a Google search like “Visa Gift Card Giveaway” or something like that. I would spend about an hour a day on average entering different giveaways, it only takes a minute or two to enter each one. So I would enter about 30-40 different ones. I would win a couple a day on average. Some would be small prizes like a free product coupon while others would be worth a few hundred dollars. I kept this up when I found out I was pregnant and entered for everything baby related. We were able to win a lot of baby supplies and even diaper prize packs! This is great for any of you frugal stay at home moms out to stock your nursery for free! When I finished college I had $17,000 in student loans and I needed a new car, mine was on it’s last leg, so I had a car loan for $10,000. I knew that in order for me to be able to afford to be a stay at home mom, I had to get rid of that debt as fast as I could. I payed an extra $100 on my student loan and an extra $70 on my car payment every single month. I just had my payments set up so that was the amount that would be deducted every month. In my head, that is what I owed and I wasn’t going to pay any less. By paying all that extra, I was able to have both of my loans payed off by the time I was 29. I think they were both payed off within a couple of months of each other and it felt great! This is where finding the right side hustle for you come in. I was able to make money on the side in addition to my full time job. All of that extra money when to paying down my loans. I took those payments, I think they were $500 total, and instead of spending it I just had that amount go into my savings. I just kept living like I was paying the loans but was actually paying myself. I was able to save up 2 year’s of my salary by doing all of the above and just living within my means. If there is ever something that I want, I save for it. I still live frugally so that I can keep staying home with my daughter. I could have gone on nicer vacations or bought a nicer car. But being able to stay at home with my child was more important for me and I never regret that decision. I started my blog before I was pregnant but only treated it like a hobby. Since then, I have treated it like an actual business and I am making an income off of it. I also became an Amazon FBA seller and I love it. I pretty much get paid to shop for bargains which I love to do anyway. It is something that I do when I have extra time. It is a great source of extra income for me. By finding ways to work from home as a stay at home mom, I have only had to use about 1/4 of my savings. Everything else has been paid for by the blog and my Amazon selling business. My daughter is 5 now and I can still afford to stay home with her until she starts kindergarten, maybe even longer! It’s more than I ever could have imagined. I just want this to be a resource for anyone that wants to be able to stay at home with their kids. I know not everyone is able to but it is possible with some planning and hard work. I have had to make sacrifices and I don’t have the fanciest things but I am OK with that. My life has changed so much since I had my daughter. Not only have I become a parent to an amazing kid but I have been given the courage and confidence to start my own business. Something I never thought I could or would do! If you want to save money to be a stay at home mom or buy your first home or just go on a nice vacation, use some of the tips above. You should reach your goal in no time. I have never heard of the sweepstakes sites! Definitely going to be trying those! What a fun and simple way to earn a few bucks.